Many congregations use Chuck each week in worship. Open a church meeting with Chuck; it helps set the tone. All confirmands should be introduced to the topics addressed by Chuck. Select those episodes that work for you. Chuck can open a great discussion on a topic. 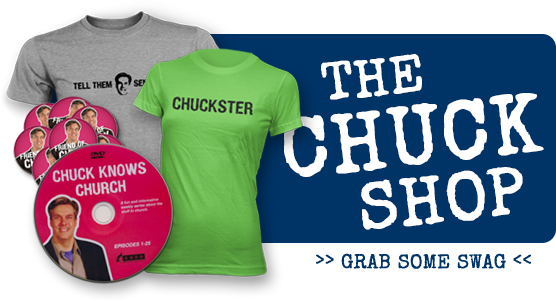 Show a Chuck to your family and see what happens! Post each week’s episode to your personal or congregation’s Facebook page. Choose 3-4 episodes as the opening to a sermon series. Grab a snack and watch a couple Chuck Knows Church episodes before nodding off. We’ve heard that you’ll sleep better!